Finding it hard to keep up with all the new social media features? You’re not alone. 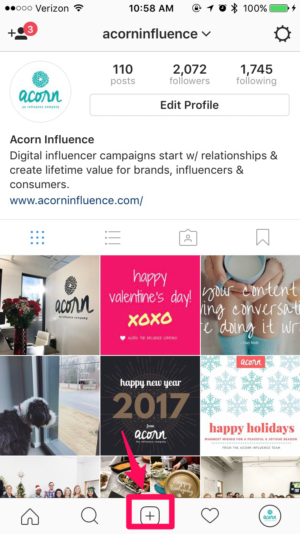 In the past six months we’ve seen a frenzy of updates from Facebook, Pinterest, Snap, LinkedIn, and Instagram. (Read our list here) While most of us are on more than one social network, the big five need to innovate fast if they want to remain relevant to their users, and their advertisers. 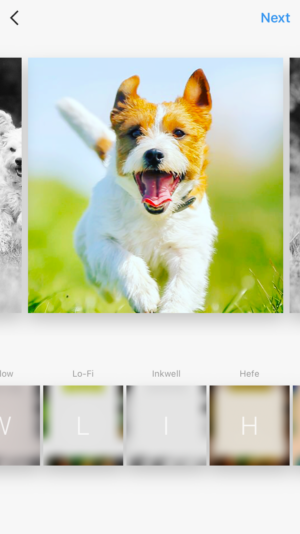 Last week Instagram announced their latest major feature release: Instagram Slideshow. 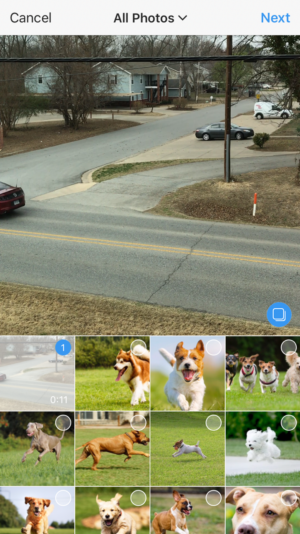 In a nutshell: You can combine up to 10 photos and videos in one post and swipe through to see them all. 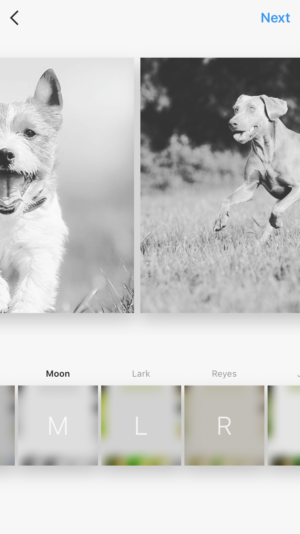 How Does Instagram Slideshow Work? To open your photo/video library in Instagram, tap the + icon at the bottom-center of the screen. Then, to add multiple images to your post, tap the new double square icon in the bottom right-hand corner. (If this is your first time using Instagram after the update you might see it say “Multiple Photos”. 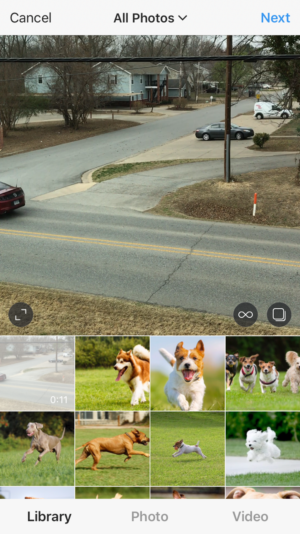 Once you’re here, you’ll have the ability to select up to 10 photos or videos for your slideshow post. Instagram will give you a little hint that you’ve reached your maximum when you’ve selected 10. Images or videos are put into the order you tapped them. If you want to reorder the photos you’ll need to deselect that photo and reselect to put it next in queue. Or you can move onto the filtering step and hold, and slide the photo to the position you want it to be in. You can also remove any unwanted photos by holding the photo and sliding it to the trash can in the top-middle of the screen. When you publish, the location and caption applies to the entire slideshow. The likes and comments are also applied to the slideshow, and not measurable for each individual photo or video. You can, however, apply individual filters to each photo, or apply one filter to the entire slideshow. You can also tag individual photos. 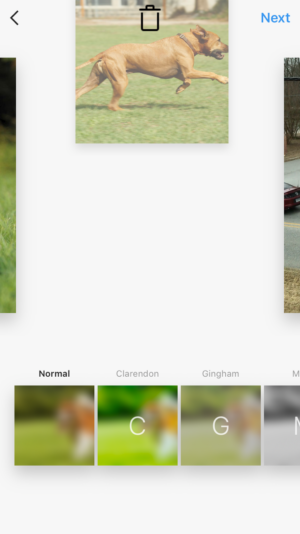 Tap any filter on the bottom of the slideshow to apply it to all images. To add a filter to one image, tap on that image, and select a filter, but be careful not to select another filter when you are returned to the slideshow view. (It will apply the filter to the entire slideshow and erase the individual photo’s filter). When you’re finished editing you can click through to the usual publishing landing page where you can add a caption, and toggle social media sharing accounts. 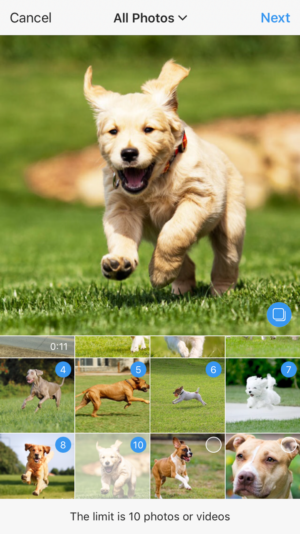 Once published the slideshow appears in your grid with the small album icon in the top right. 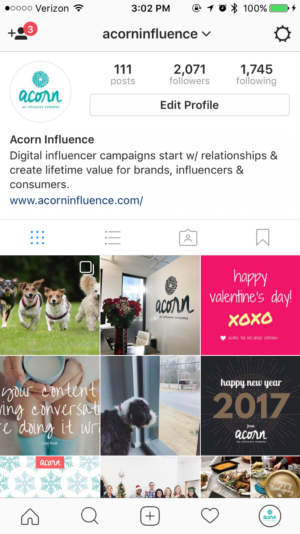 When scrolling through your feed, you’ll see blue dots at the bottom of these posts to let you know you know that they are slideshows you can swipe through. What Are Some Tips For Making An Engaging Slideshow? Picking the order of your photos might not seem important but it can be a great opportunity to show, rather than tell, a story. Use chronological order to show a start-to-finish project or the highlights of a birthday party. Filters are a big part of visual storytelling, and creating a consistent “look” is more likely to capture the attention of your audience. 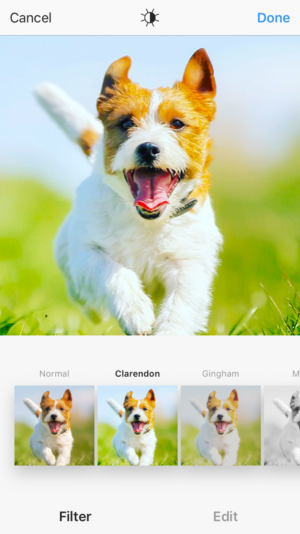 To depict importance, try filtering your photos in black and white, and selecting one photo to filter in color. To visualize an emotion, pick bright filters to show happiness, and darker to show sadness.